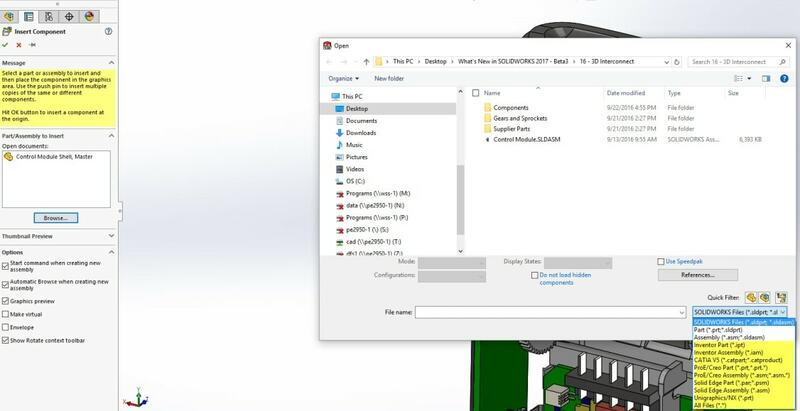 SOLIDWORKS has a great new tool in 2017 that will allow you to work directly with third-party native CAD files! What exactly does that mean? Insert CAD data directly into a SOLIDWORKS ASSEMBLY without having to convert it to a SOLIDWORKS file. When you open the 3D CAD part in SOLIDWORKS, it keeps the link with the original part. 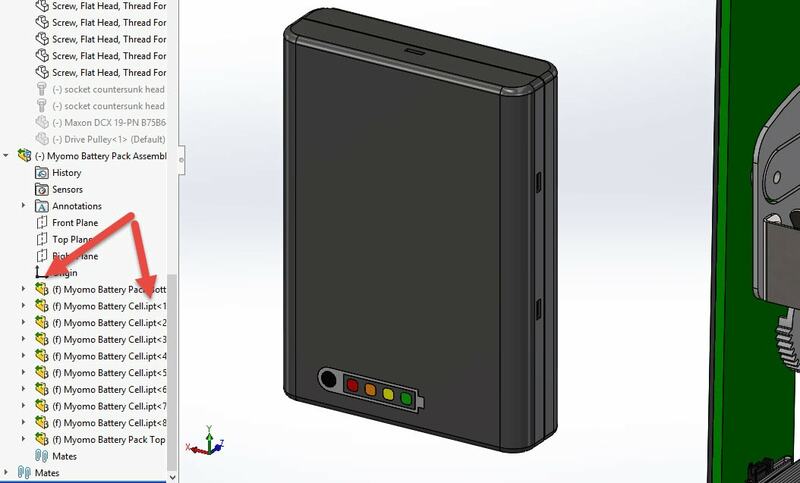 By maintaining the link to the original 3D CAD part, changes made to the CAD data from the other CAD system will update in SOLIDWORKS and maintain all downstream features. Great performance impact due to much faster open times. Let’s take a look at an example of opening a CAD file from another system. You can simply do this from the insert component command in an assembly and then just change the file type. In this case, I will select an inventor assembly file. After I select the file type, I can drop the assembly in and mate it just like I would any SOLIDWORKS file. You will notice when the file is inserted, it is actually using an Inventor file and has a different symbol indicating a different file type. 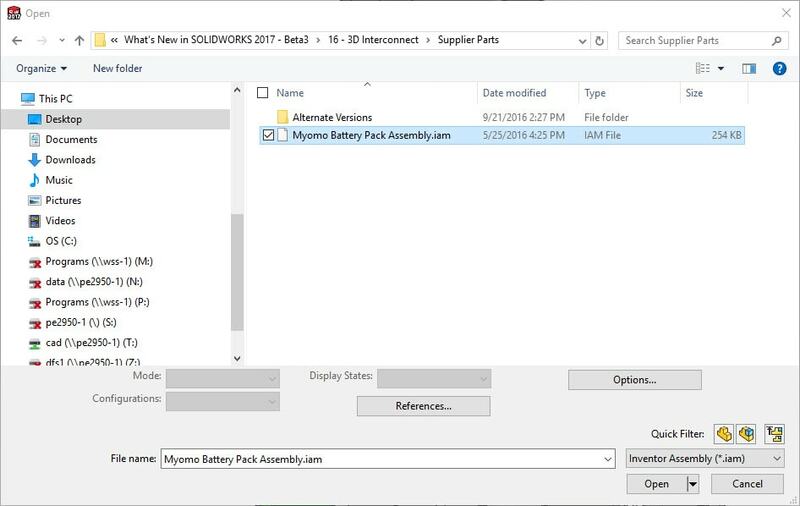 The file is still linked to the native CAD file so if the original file updates, the file in the SOLIDWORKS assembly will notify you that the file has changed and just select update. To me, this is one of the best new enhancements in 2017!! !